TC 38, specialized in standards for Instrument Transformers, decided to restructure the whole set of stand-alone Standards in the IEC 60044 series and transform it into a new set of standards composed of general requirements documents and specific requirements documents. This set of standards under the new set labelled IEC 61869 contains a base standard (common clauses) and specific standards for conventional and so-called « non-conventional instrument transformers », or « Digital Instrument Transformers». IEC 61850, being a system oriented standard series, leaves many options open in order to support present and future requirements of all sizes of substations at all voltage levels. To reduce the engineering amount required to achieve interoperability for the digital interface between instrument transformers and equipments that use the digital signal (like protective relays or meter or bay level controllers), the IEC61869 standard specifies additional constraints on implementing a digital communication interface. Ethernet Plug-In Modules as well as J-Port have to be properly parameterized. In case GOOSE Messages are necessary in the process bus network, an independent Plug-In Module has to be foreseen. 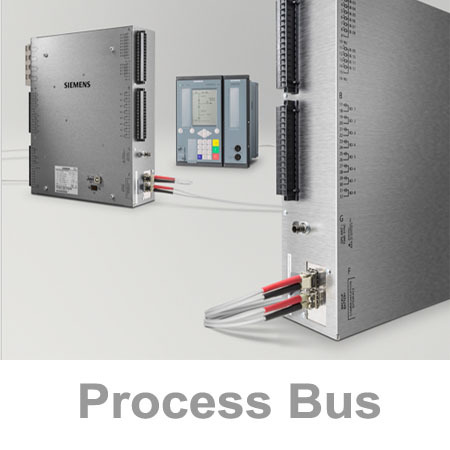 For Process Bus Application the Edition 2 is mandatory.